I often shop here and always find the members of staff very helpful, kind and thoughtful. 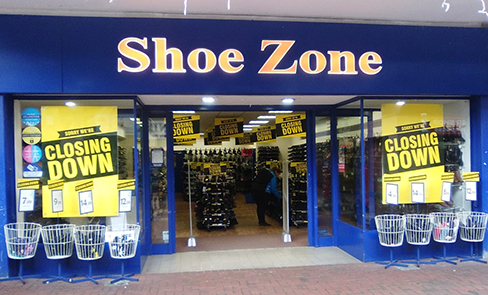 I love shopping for shoes at Shoe Zone in Wythenshawe because the is always a great range of products to chose from in a variety of sizes! The staff members are lovely and always go the extra mile to ensure you get the shoes you're looking for. Please keep these staff members, excellent service guaranteed from them!! Absolutely amazing staff in store, always friendly and helpful! I love shopping for my shoes here it is very welcoming and staff are always willing to help out to find exactly what I'm looking for. Please do not get rid of any of these staff members because then I'll have to shop next store in Wynsors for my shoes. Thank you. Always get what i need here at reasonable price with helpful friendly staff.